A snapshot of who could lead France into Brexit negotiations and beyond. Firstly, a note on election type; any number of candidates are allowed to stand according to affiliation with a first round of voting producing two dominate candidates. These two candidates are then pitted against one another in a run-off election, with the victor becoming President. The purpose is to provide a brief snapshot into the contenders for the Presidency of the French Republic. French elections include a diverse multitude of candidates and several who can be expected to stand are omitted from this analysis, as they do not have a realistic chance of assuming the office. Marine Le Pen: Front National: Far Right. Who: Marine assumed leadership of the Front National in 2011 becoming the party’s second ever leader in succeeding her father, FN founder Jean Marie Le Pen. A lawyer by profession she has been a member of the European Parliament since 2004. The party considers itself the best representation of traditional French nationalism and appeals to themes such as loss of French identity and the sense of being left behind by the mainstream political parties. The main planks of FN policy are economic protectionism promoted through opposition to globalisation, an extremely tough law and order approach, euroscepticism, opposition to immigration and stringent Islamophobia. The party has seen a lot of its traditional anti-immigration, and in particular Islamophobic law and order positions co-opted by members of the right wing. Nicolas Sarkozy in particular looks much closer to the Front National in his running position than his previous administration. In response to this Le Pen has begun to remark that while other candidates may talk tough on these issues, she is the only candidate that intends to act upon them and enforce some of the more extreme policy position. She has also emphasised her freedom from special interest, a notable position given that three of the other main candidates (Hollande, Juppe and Sarkozy) are long-term figures in French politics and government. Using her platform as an MEP Le Pen has endorsed the British decision to leave the European Union and has promised a French referendum on membership. Regarding the recent debate on the burkini in France the FN has long advocated a policy banning the wearing of clothes with ‘ostentatious’ religious symbols in public, including the burkini. The party is popular among rural and northern France and based on current voting intention polling Le Pen is poised to receive enough votes to reach the second round run-off. If this comes to pass then it is likely that the French electorate will rally around her opposing candidate, as they did when her father reached the run off against Jacques Chirac in 2002. Despite suffering from allegations of corruption Chirac was re-elected to the Presidency following a run-off campaign that was dichotomised by the common view that it was better to vote for a crook than a fascist. Using this historical case as a guide, Le Pen’s most favourable match-up may be against Sarkozy who has adopted many of her positions and is suffering from legal cases investigating alleged corruption. Hefting baggage of this kind Sarkozy could be defined as both a fascist and a crook and the thoroughly depressing image of this run-off may turn voters away, aiding Le Pen. One potential problem for Marine and the FN is that the party is missing the €25 millions euros it requires to fund the presidential and legislative electoral campaigns next year. Previously the party has accepted a large loan from the Kremlin, however given the increased scrutiny regarding the role of Russia in Western elections this option may not be feasible. If the funding gap persists the party will struggle to mount campaign of the size required to compete for the Presidency. Marine is, however, a well-known candidate and popular among a significant section of the French population. Nicolas Sarkozy: Les Republicains: Right Wing. Who: Nicolas Sarkozy is Hollande’s predecessor in the Elysee having held the Presidency from 2007 to 2015. Despite a post electoral defeat pledge to retire from public life, Sarkozy was re-elected as the leader of Les Republicains (formerly known as the Union for a Popular Movement) and is contesting the party’s leadership primary. Former president Sarkozy has launched a highly visible and outspoken campaign. Following the long-held French tradition Sarkozy has released a book, “Tout pour la France (Everything for France) that part memoir and part national vision. Sarkozy’s campaign has been almost entirely characterized by law and order, and reaction to terrorism and identity in France. Sarkozy has lurched to the far right and has adopted many policies previously developed by the Front National, abandoning the themes of equal opportunity, economic reform and climate change that won him the presidency in 2007. Now he promises total war on terrorism and a restriction on immigration. He has praised the FN’s proposal to switch citizenship from a birth right to a hereditary claim and has supported the burkini ban. Furthermore he has advocated the creation of detention campaign for suspected terrorist sympathisers prior to them committing any crime, in an echo of the Japanese internment camps set up in the United States during World War Two. Similar to Hollande he now backs the role of a strong welfare state in protecting citizens and has discarded plans to reform the system. Additionally he has since stated it is ‘arrogant’ to believe in climate change. Sarkozy is betting on a highly traumatized French society being drawn to his extremely tough take on terrorism. To do this he has undertaken a strategy of saturating the media with his presence in order to be most seen and heard. Sarkozy is not popular and there is little appetite among the wider public for his return to office. He faces a tough challenge to defeat Juppe in the LR primary and his campaigns biggest weakness is that it appears to be a visionless grab for power. Sarkozy’s most likely route to the presidency would be squeezing into the run-off against either Hollande or Le Pen. In the case of Sarkozy vs. Hollande the unpopularity of both candidates means voters will fall back on partisan preferences and Sarkozy could pip Hollande out of sheer dissatisfaction with Hollande’s presidency. The potential outcome in a Sarkozy vs. Le Pen contest has been explored above in Le Pen’s electoral chances profile. Who: The 71 year old Mayor of Bordeaux and current front-runner, Juppe previously served as Prime Minister in the government of Jacques Chirac between 1995 and 1997. Juppe was later charged with corruption and spent time teaching in Montreal before returning to France and being elected Mayor of Bordeaux in 2006. Juppe has spent much of the last year in town hall meetings pushing and honing his campaign message. In contrast to his biggest primary challenge, Sarkozy, Juppe has avoided defining his campaign by terrorism and law and order. He has been a prominent critic of those building campaigns on these themes and often said he will not build a campaign based on fear, a thinly veiled reference to Sarkozy. He has rejected calls for detention without trial based upon suspicion and has made several calls to a more inclusive society providing the best way to tackle radicalisation. Juppe is campaigning on pro market reformer platform, accusing the current system of preventing the French from working. He is calling for an end of the 35 hour work week, raising the retirement age from 62 to 65, shrinking the number of public servants by 250,000 and up to €100 billion in spending cuts over five years. Furthermore he has highlighted equality between men and women, ecology and technological change as being core challenges France must face. These three themes are very progressive given the reactionary and short-term debate currently engulfing other candidates. In terms of governing style he has promised a shock and awe campaign of reform within his first months in office with his assertiveness being viewed positively. Further to this he has vowed to use a constitutional tool that allows government to pass laws directly, with a blanket authorization tool from parliament but no debate or vote on the measures. During his time as Prime Minister under Chirac, Juppe had to drop several of his reforms after paralysing strike action and his determination (and willingness to force legislation through parliament) is indicative of his desire to overcome and press reform into action. 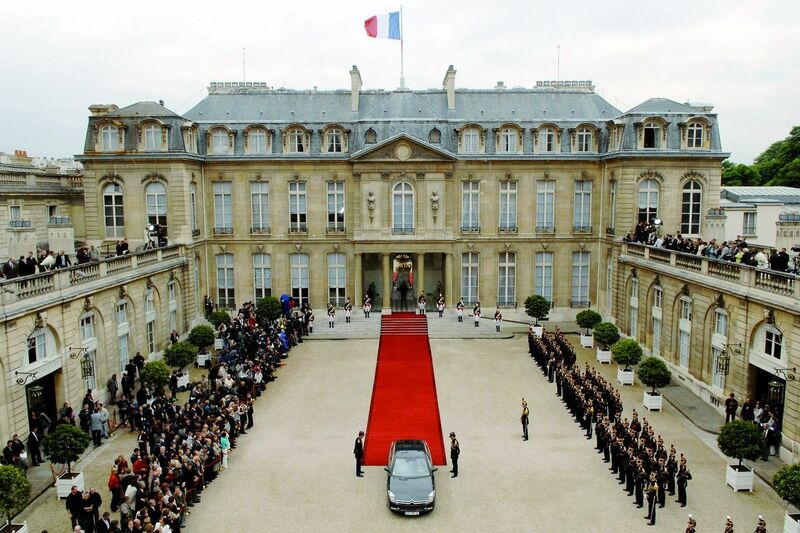 At present Juppe looks the contender most likely to be stepping into the Elysee. Despite the large distrust in politicians that currently besets France Juppe is a popular figure, currently leading in all head-to-head polls. In fact, his assertive attitude towards reform is seen positively among a population unsatisfied by the current malaise in politics. If Juppe is able to secure the nomination of Les Republicains, then he is the most likely candidate to attain the presidency. In a run-off Juppe would comfortably beat Hollande and secure a landslide against Le Pen, if the example of 2002 holds. A run-off between Macron and Juppe may throw up the closest contest, if the Parti Socialiste voters transferred their allegiance to Macron and right-wing voters preferring a tougher stance on terrorism and immigrant stayed away from the polls. Juppe biggest problem is likely to be his political style. He is a man that clearly enjoys speaking about the minutia of policy, and this may count against him in election campaign programmes that benefits simplicity. Barring any black swan events, or enormous campaign gaffes, Juppe is the man to beat. There are a number of other contenders standing to be Les Republicains Presidential candidate, however it is highly unlikely they will be able to surmount either Sarkozy or Juppe. Other candidates include former Prime Minister Francois Fillion, the only woman standing in the process Nathalie Kosciusko-Morizet who in the wake of the Nice terrorist attack proposed banning the Salafist movement in France, and Bruno Le Maire who has proposed arresting and detaining “potential” terrorists, even if they have not committed a crime. A note on Les Republicains primary: The primary process for begins on September 21st when the High Authority will rule on and publish the final list of candidates. The first round of primary voting takes place on November 20th. If no candidate has secured over 50% of the vote in this initial round, a run-off between the two candidates with a highest vote share will be held a week later. Emmanuel Macron: En Marche: Centrist. Who: A former protégé of President Hollande, who brought him to politics by naming him as his Minister of Economy, Industry and Digital Affairs, Macron is a 38 year old who has resigned from Hollande’s cabinet and set up his own political movement (En Marche!) in the process. A former employee at every conspiracy theorists favourite bank, Rothschild, he has drawn comparisons with Tony Blair. At the broadest level Macron is elucidating a message that France is currently in a political crisis with the public considering politicians discredited. Macron will run a campaign for the centre ground, in particular emphasising that France needs to be freed from the traditional orthodoxies of left and right. He has championed deregulation and entrepreneurship and declared that there should be ‘young French people who want to become billionaires’. This has seen his popularity among the media and business world rise. Macron embraces an internationalist outlook and supports French leadership within the European Union. He is socially liberal but has a clear economic focus in what could be his campaign. Macron has never been elected to office and is extremely young for a politician in France. There is a preference for candidates who have been around the block and through the party ladder. Many in the Parti Socialiste, described by Macron as a ‘dead star’, consider him a traitor for abandoning the party and starting his own movement. Meanwhile he has been attacked on the right for suggesting his own economic reforms in government, the Loi Macron, don’t go far enough. En Marche, Macron’s political vehicle, was founded in April and presently has in the region of fifty thousand members. One of his biggest challenges will be to build this movement into a nationwide campaigning organisation in time for the election, though his economic reforms are an attractive prospect for donors. He is young, charismatic and speaks with an attractive confidence about his policies. He has embarked on tours of France to speak about his vision of a country reborn. If he is able to build a critical mass level of support that can be translated into political organising, Macron offers a potential breakthrough. A recent Odoxa survey ranked him second among potential presidential candidate preferences. Macron’s path to the presidency would require edging himself into the second round run off via a fractured and split vote across many candidates. If he reaches the run-off his preferred opponents would either be Le Pen (for obvious reasons), the divisive Sarkozy or embattled Hollande. He is likely to face a more difficult race if Juppe is Les Republicains nominee as they both appeal to similar young and urban constituencies. Francois Hollande: Parti Socialiste: Left Wing. Who: Sitting President and likely Socialist party candidate for next year’s election. He previously announced that he will formally declare his intentions at the beginning of December, however he recently gave a speech saying he wouldn’t let France be governed by his Conservative adversaries in the years to come, which has been interpreted as his strongest hint at a re-election run. Hollande’s electoral platform is likely to be based on the theme of ‘protection’ that he has expanded upon in recent months. The theme has three central facets: the protection of France against terror attacks, protecting the French constitutional system against those proposing a reduction in civil liberties in the fight against terrorism, and protecting the French welfare state against reform. Recent terror attacks in France cast a shadow over the election, and Hollande’s message of consolidating the French constitution is calibrated against an increasing array of reactionary policies advocated by, not only Le Pen, but also Sarkozy. He has highlighted Sarkozy in particular and mocked the assertion that to defend the rule of law it must be suspended. He has backed this up by questioning what the Patriot Act or Guantanamo Bay have done to help protect the United States. In casting himself as the protector of the French welfare system he is speaking to the Socialist party base. Welfare reform is a controversial issue in France, and attempted reforms often result in violent demonstrations. If Hollande can make this one of the dominant themes of the campaign, against candidates keen to launch financial reform, then he may be at his best. Hollande has frequently expressed the conviction that Islam is capable of living within the French conception of secularism and has said that no special legislation should be brought in regarding the burkini. Hollande faces one of the toughest battles to keep his office. His term has been characterised by the volume and severity of terror attacks that France has suffered and the failure of his reforms to be transformative. As a result he is suffering from low approval ratings and in a recent poll 85% of respondents didn’t want him to run again next year. There doesn’t appear to be a strong challenge to his position from within the Socialist party as yet but it appears unlikely that Hollande will even make it to the second round run-off, let alone gain re-election. Previous Westminster leaders threatened by proposed boundary changes. Next America’s October Surprise: Trump Tapes.